A whitetail deer hunter would know how important a binocular is. It is one of the most essential and optional hunting equipment in his arsenal. As you get into the advanced mode of hunting, high-quality optics becomes a huge plus. You need to choose a pair of binoculars that best suits you according to your hunting style. Here are 8 best binoculars for deer hunting for different needs. The Bushnell Legend Ultra HD is an excellent binocular with quality optics. It comes with several features which help to create an outstanding experience for the users. First things First! Weighing about 1.54 lbs, it is substantially lightweight. You can easily carry it around while you go out to the woods. Coming to its magnification and objective size, it is 10×42 mm. The number 10 refers to the magnification which means you can view the object 10 times bigger than its original size. 10x is more than enough for most types of hunting. The object magnification is what determines how much detail you would be able to see. It is also 100 percent waterproof and fog proof which means it will not shut down by severe climate. The body is made of magnesium alloy and uses Extra-Low Dispersion glasses. Twisted eyecups are using in this binoculars, and hence you can adjust it according to eye relief. 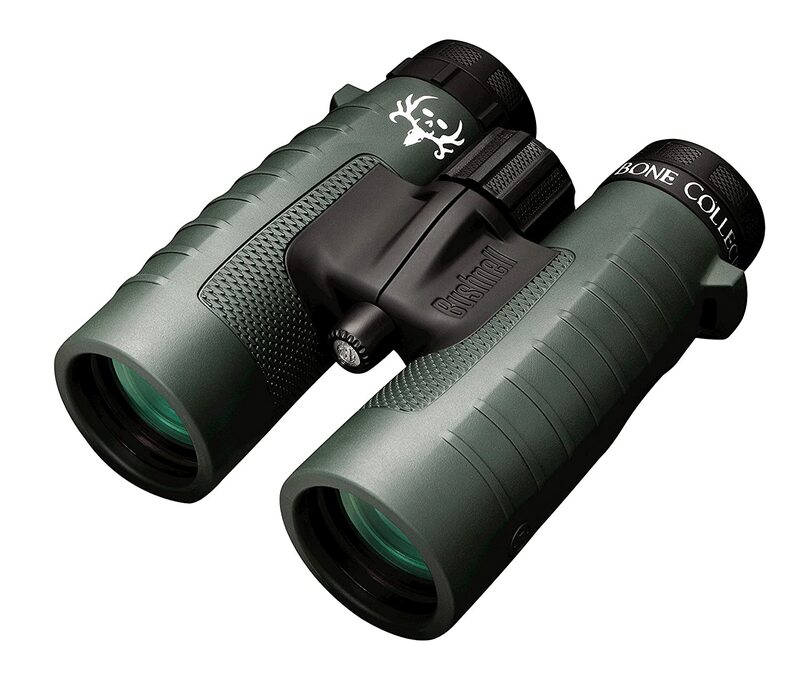 Overall, it is one of the ideal binoculars for hunters with excellent optics able to provide sharp details. 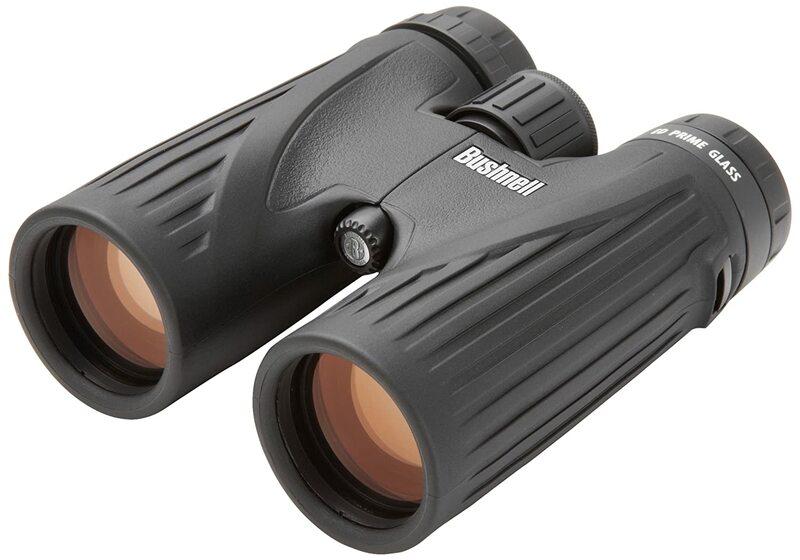 The Bushnell Binocular Bundle is a pair of functional binoculars having superior quality and durability. The 10x42mm powerhouse binoculars come with many features and do their job well especially the features you can find in this price range. The fully multicoated lens is lead-free and delivers ultra-bright and sharp images even under low light conditions. It is O-ring sealed and comes with easily adjustable eyepieces. You would be surprised by its sturdiness and the grip it provides. The only downside is, it comes on a slightly heavier side and can be a bit difficult if you want to use it for a whole day. However, the harness you get along with the bundle will keep the weight off from your body and makes you feel very much comfortable. The sharpness of the object view provides by the binocular makes it easy for you to watch birds and animal even while you are on a vehicle. It is 100% waterproof and weatherproof and has a 15.2mm eye relief. No doubt, this could be the reason why you can find Bushnell Binocular Bundle: Trophy XLT Roof Prism Binoculars as your preferred choice for hunting and other leisure activities. 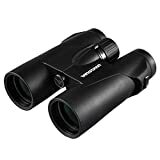 Polaris Optics WideViews – 8×42 HD is a great binocular, come with specially designed features for bird watchers. It has some of the must-have advantages like longer eye relief and closes focus. With brilliant HD view and excellent optical quality, you can experience the most exact red and blues better than the expensive binoculars. The fully multicoated corrections give your high resolution and color fidelity. 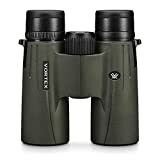 It features 100% waterproof and fog proof lenses which perform well in nasty weather conditions, Cutting edge True Hue color technology, 8x42mm, 430ft/1000yds field of view, close focusing distance 2m, are some of the other features. The best binoculars should be very compact, lightweight and ergonomic. 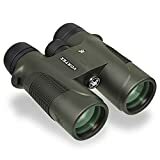 You will have all the qualities for the best binocular in Polaris Optics WideViews, which makes it easy if you have to carry it around all day. The close-up feature is one of the leading technological edges of the binoculars. It has detachable eyecups, which are a convenient feature as you can slip it on and off. It also has a super-detailed instructions manual explaining how to use the binocular efficiently. You can conveniently use it for viewing any scenery as you can see everything just like a Hollywood movie. 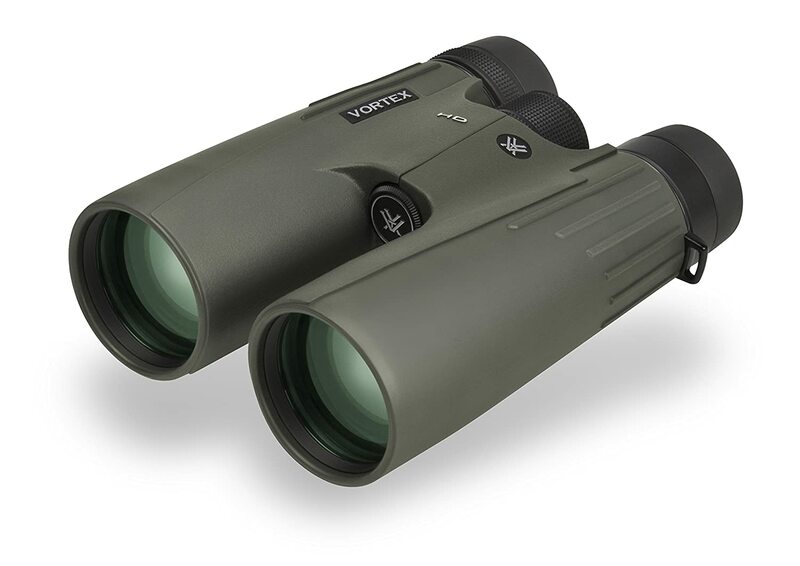 The Vortex Optics New Diamondback are excellent additions to your hunting/bird watching equipment gear. It comes with a sturdy magnesium body, which is both rigid and lightweight at the same time. 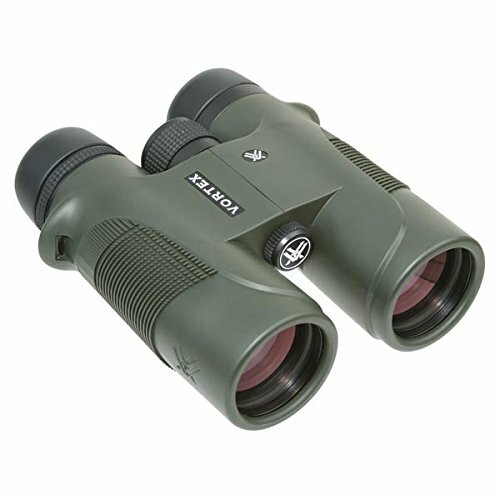 The roof prism makes the binoculars compact in size and durable. The phase corrected prism coating is another technological innovation, we can see in the binoculars. The lining helps with resolution and contrast in its perfect range, helping for camping or hunting purposes. The best binoculars also should have adjustable eyecups making it easy for you to focus an image. Due to this fantastic feature, this binocular is even suitable for people with short sight. The diopter also helps to adjust the eyesight difference. The O-ring seal and argon gas purged lenses keep impurities away and work well in harsh weather conditions. It is 100% fog proof, waterproof and is undoubtedly one of the outstanding features a binocular should possess. In short, Vortex Optics New Diamondback has a great design, magnification, Waterproof and durable body, and it does not strain your eyes. Moreover, you get these features at an affordable price. Vortex Optics Viper HD 10×42 is the preferred choice for hunting and other activities due to its excellent optics and economical pricing. Its body comes with a quality and durable hard rubber material. It has many other benefits other than the looks. The shape of the binoculars protects the optics from small damages that can occur. It also minimizes the sound impacts when something strikes against the binoculars, which could disturb birds and animals. The binoculars are 100% fog proof and waterproof due to the O-ring sealing they have. The Argon gas in the binoculars prevents the generation of moisture and dust accumulating the unit by replacing the air content. The eyecups are adjustable and made of thin soft rubber coating for additional comfort. The main highlight of these Vortex binoculars is the eye relief they possess. 20 mm eye relief is more than enough for people who wear glasses. It also has a diopter ring for adjusting the lenses so that you can use both lenses synchronously. Stylish looks clubbed with great features makes it a dream to use. If you are looking for an easy to use binocular with incredible functional properties, Celestron 71332 Nature DX will be an ideal one. Since it comes with many essential features, a hunter or a nature watcher would prefer it because of the affordable price range. This binocular equipped with BaK-4 prism lenses with phase coating. Fully multi-coated optics allow maximum light transmission whereas the phase coating increases resolution and delivers sharper and detailed images. Roof prism lenses make sure that your eye directly positioned with the glasses so that you can view everything as a 3D view. 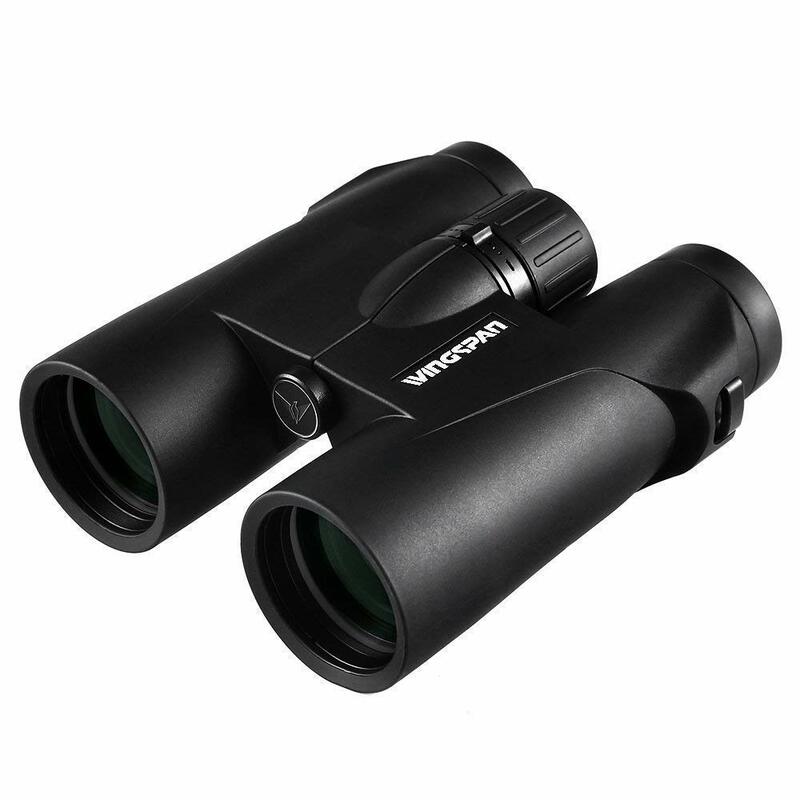 The 8X magnification ensures that you can use the binoculars even in cloudy weather to see objects clear and sharp. For meeting the general purpose of binoculars and using it in tough circumstances, it uses high quality and durable material. It is just perfect for clumsy hands, and you do not have to worry about any possible damages. The binoculars, in general, are equipped with all essential features, but if you are an advanced hunter, you will have to invest in a little more sophisticated range of binoculars. The Carson 3D Series High Definition is an excellent binocular combined with 3D features and many innovations anyone would expect. It is a 10x42mm model having phase correction coating and fully multi-coated optics with Extra-low Dispersion (ED) glasses. Extra-low dispersion glass has some unique characteristics, and it helps in reducing the effect of chromatic aberration and lowers color fringing to a significant level. The combinations of 3D ED glasses are features only in high-end cameras, binoculars, and microscopes. 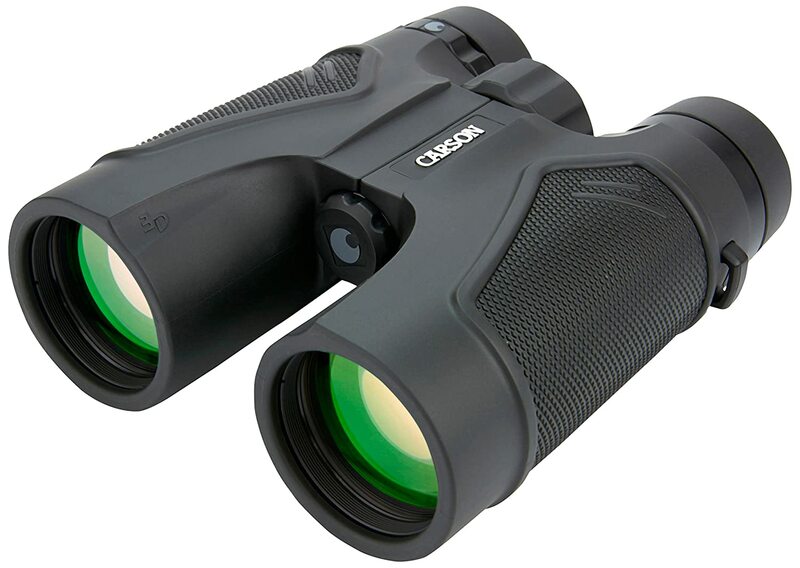 Unlike the trend of binoculars having an open-hinged design, the Carson 3D has a traditional single bridge design offers terrific performance. It weighs around 1.6lbs and belongs to the compact and lightweight binocular category. The body incorporates O-ring seals for making it both waterproof and fog proof. It uses dry nitrogen to replace the air inside the binoculars helping to prevent the optics from fogging up. Durable rubber coating is another unique feature you can find in its eyecups for enhanced longevity of the binoculars. The twist-up cups are pretty smooth, but it lacks a little flexibility. It also has a 20mm of eye relief, which add its user-friendliness. It is popular among hunters for its durability, versatility, and lightweight features. Its sturdy construction deserves 4.5 stars. The stylish rubberized coating possesses very high non-slip quality so you will not tend to drop it down always. It comes with a scratch resistant body, highly resistant to abrasion and other similar damages. It features 7x35mm lenses and available at a great price. Magnification of 7x makes it possible for you to view objects very clearly that are at a distance with sharp details. Successful hunting, significantly related to the way how you can see the object and its movements. Although many hunters do not believe in using binoculars, having best binoculars for deer hunting is an inevitable gadget to make your hunting a successful leisure activity. Investing in good binoculars as per your hunting requirements will help you halfway through the process.